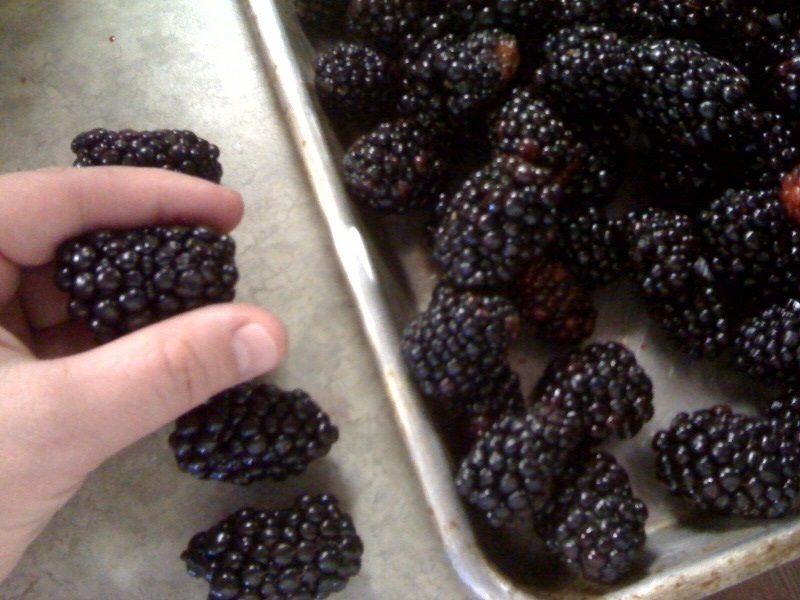 We went blackberry picking at a local U-Pick farm. 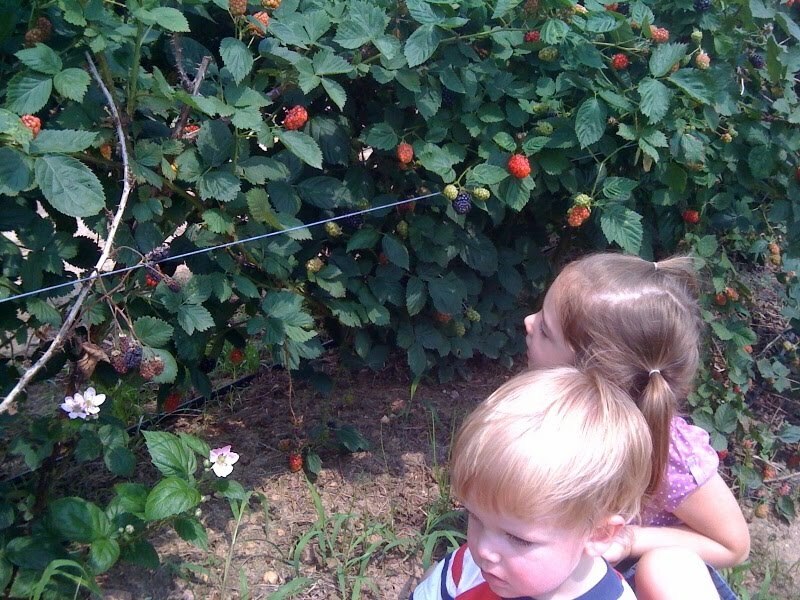 We usually visit this particular farm every summer to pick blackberries, strawberries, blueberries and raspberries. 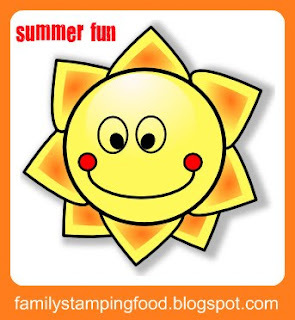 The kids usually have a great time. This day, the sun was hotter than expected and I did most of the picking. Which is completely fine, since my son decided he wanted to pick all of the pink, unripened berries. I think he was confused since we picked strawberries a few months ago. 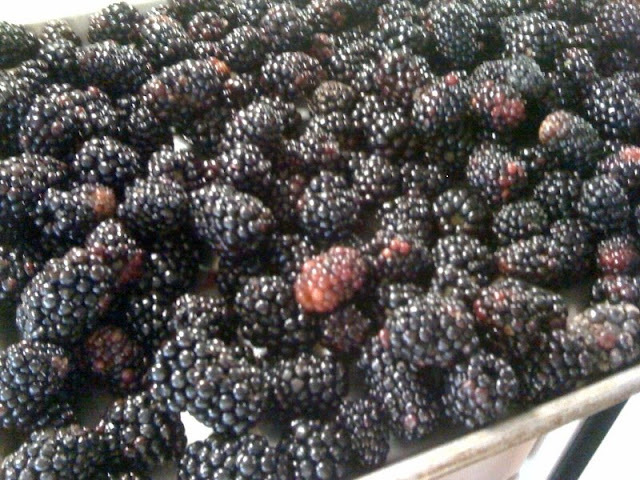 After about 15 minutes, they were done so I worked faster to fill up our pail with about 9 lbs of blackberries. Some were almost the size of my thumb! When we got home, I placed them on a sheet pan and placed them in the freezer. After they were frozen solid, I transferred them to a large plastic freezer storage baggie. We'll use them for smoothies during the summer months. I'm also going to make a Blackberry Cobbler when my step-son gets home. He loves them as much as I do! Have you been to visit your local U-Pick farm? 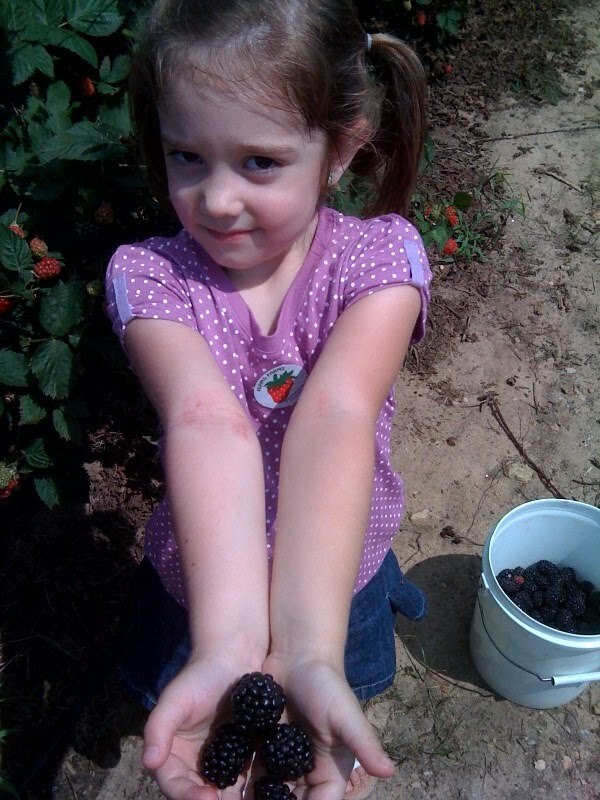 What have you been picking this summer? This looks like so much fun. The berries look awesome. My mouth is watering! Those photos are great. You have many days of yummy goodness ahead of you. wow, wonderful! we don't get very big ones here in So. Ca!! I envy you! never been to a u-pick but perhaps this summer. Those blackberries are HUGE! I know there is a farm somewhere here in Broken Arrow, OK, I just need to find out where! How fun and what an experience. Happy WW! Wow those look great. There are some blackberry bushes on my parents farm that I hope do well. They also have apple trees and pear trees. So far I have made apple jelly from apples we picked. Ohhhh! This reminds me of when I lived in Oregon! We made jam, pies, ice cream and pancakes with our blackberries. Heaven! you are lucky. Some nasty squash bug got my squash plants and they are all dying :( I was so looking forward to fresh squash!